Prom is finally here. The moment the guys put on that tuxedo and the ladies that beautiful dress. When the light switches on and you realize your not going to get a chance like this ever again. Prom is a one time deal and you need to make it special. Make prom night one to remember for the rest of your life. It's not only prom night it's a night to have one of the most memorable nights ever! "Your only young once and you need to take full advantage of it." YOU WILL NEVER GET A CHANCE LIKE THIS AGAIN SO MAKE IT COUNT AND GO IN STYLE!! You will find our limousines to be stylish. clean, new, and desirable to ride in. We specialize in proms. 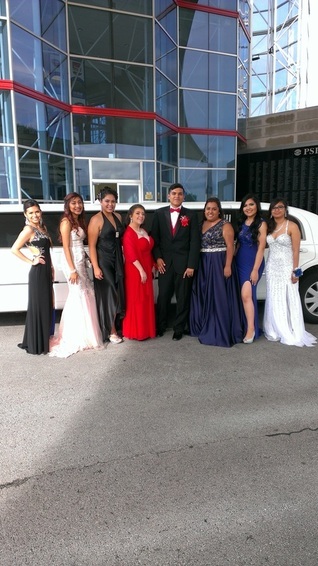 We have been preforming prom transportation for the past 15 years and have had over 500 happy customers. We look forward in providing you with this extravagant experience that only comes once in a life time. Rent your prom limo today we run out fast! Parents, your child will be in good hands with us during the ride to and from the prom. Your child's safety is always our number one priority.